While we know intuitively that art and creativity can dramatically improve older people’s quality of life and health, the research is in – art can actually keep you healthy! 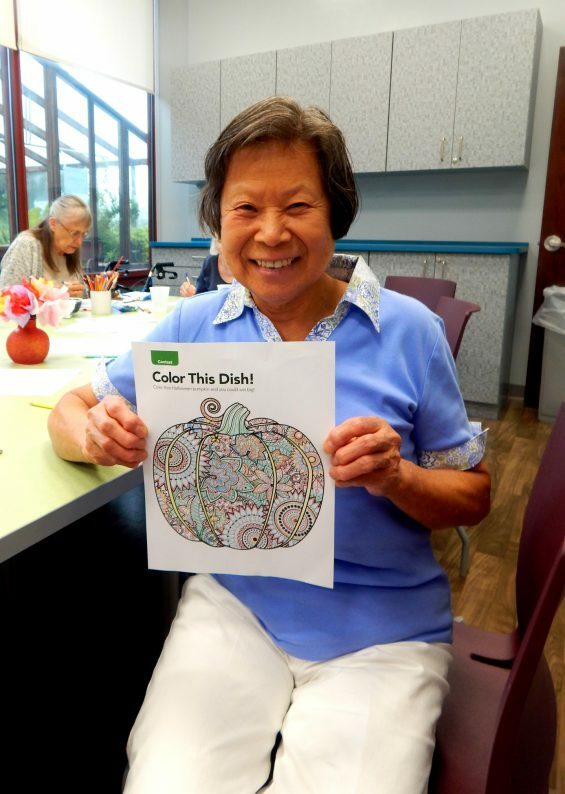 Our arts programming focuses on encouraging older adults to explore and develop their creativity in order to reap the many benefits. These programs will focus on lifelong artists, those who have not previously had the time to pursue their artistic talents and those that were not exposed to arts experiences. We will partner with community organizations such as OASIS, COCA and others to teach and experience a variety of art education. Check out our Menu & Event Calendar for details.